Ethnic wear usually hides behind your cupboard waiting for a chance to see the light of day. However, when festivals are around the corner there are no second thoughts when it comes to going the desi way. Build some courage and embrace the desi girl in you! This is precisely what Raashi Khanna did recently. 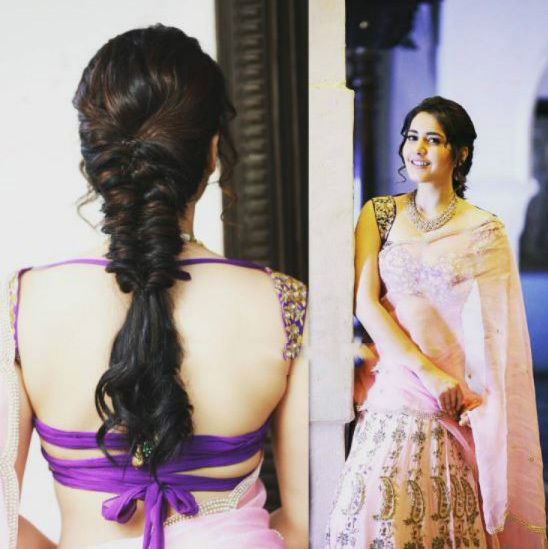 In an event for Sankranti, she wore her ethnic best. The star looked amazing! Let’s take a closer look at what she wore and why it was so awesome. 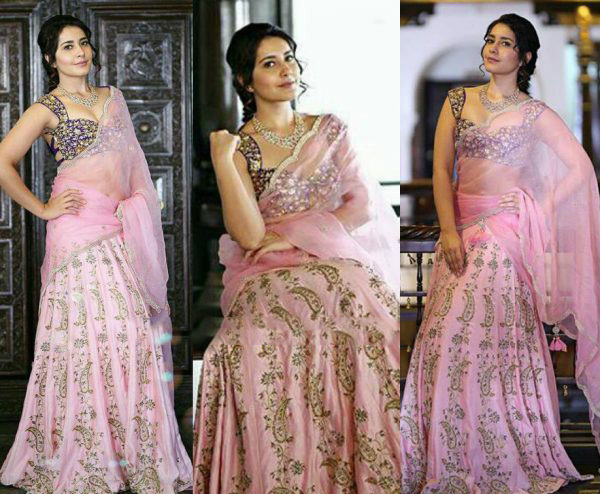 Raashi selected a beautiful pink coloured embroidered lehenga. And what made her look all the more interesting was the purple blouse with a tie back designed by Shilpa Reddy, raising the fashion quotient up a few notches. The golden embellishments sparkled giving the outfit a grand look and feel! The pretty lady didn’t just stop there. She wore statement jewelry from Tibarumal Jewels. source: southindianfashion.com As for her hair and makeup, she stuck to the basics without trying out anything too radical. Her natural makeup reflected the pink color theme. While her hair was tied back in a fishtail braid. She didn’t overcomplicate the look and nailed the ‘less is more’ motto with this. We loved her fresh look, did you? Share your thoughts with us in the comments section. If you like this article, spread the love by sharing it with your friends! Don’t forget to subscribe to our website for the latest style updates. Stay stylish!